Prominent Libyan military commander General Khalifa Haftar, who represents one of the major forces in the fractured country, has visited Moscow. He met top Russian officials, including the foreign and defense ministers. Haftar is a powerful and largely independent figure in the ongoing civil conflict in the country. The veteran Libyan general, who lived for two decades in the United States, played a major role in toppling Muammar Gaddafi’s government in 2011. At the moment, two factions claiming to be country’s national government are operating in Libya – one is based in Tripoli and the other in Tobruk in the east. Meanwhile, multiple independent and partly independent militias, as well as outright terrorist groups, including Islamic State (IS, formerly ISIS/ISIL) are also vying for power in the war-torn country. Since 2014, Haftar has commanded the self-styled National Libyan Army, backing the government based in Tobruk and controlling large territories in the east and south of Libya. Despite disagreements with the UN-recognized Tripoli government, Haftar’s resolve to fight terrorism has won him the support of a number of countries, primarily Egypt. It’s the Libyan strongman's third visit to Russia. His last trip was in November 2016, when he also met the Russian foreign minister, Sergey Lavrov. This time, the officials discussed means to untangle the Libyan crisis, as well as possibilities for cooperation between Russia and Libya. Lavrov warned about the constant threat of terrorism in the country and stressed the importance of seeking an inclusive political solution to the crisis. “Unfortunately, the situation in Libya remains complicated, the extremism threat in your motherland is still not overcome. However, we are aware of the steps being undertaken and actively support the tendency… for political reconciliation, full restoration of statehood in your country,” Lavrov said. “It was also confirmed that Russia is ready to provide further assistance in promoting the political process, in contact with all Libyan parties,” the statement said. “The outcome of the talks is very positive. We briefed [Lavrov] on our problems, described the picture in whole. Naturally, Russian side considers how it can participate in the search for the required decisions. We’d be delighted, if Russia continues to participate in this work,” Haftar told journalists after the meeting with Lavrov. 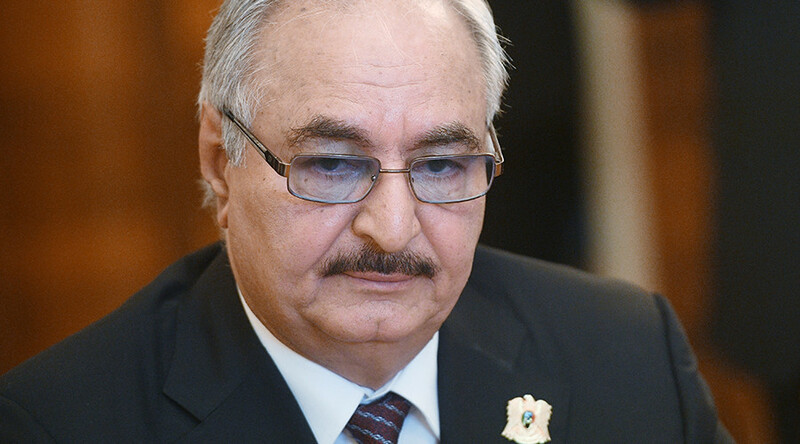 Haftar said that the issue of potential Russian military aid to Libya was also discussed with Lavrov. “Yes, we discussed it [the issue of military aid]. I am sure Russia remains a good friend of ours and will not refuse to help," Haftar told reporters, Sputnik reports. 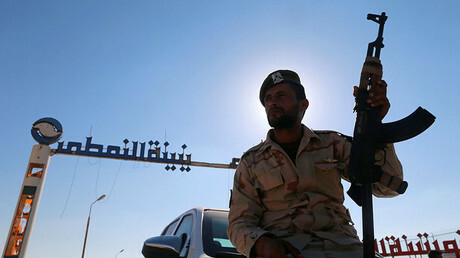 No further details were released of the potential military aid to Libya. Russia was one of Libya’s major weapon suppliers. Over the decades prior to the uprising, NATO intervention and toppling of Colonel Gaddafi in 2011, Moscow provided the country with more than 2,000 tanks, 450 artillery weapons, as well as dozens of ships and aircraft. Following the meeting with Lavrov, Haftar met Russian Defense Minister Sergey Shoigu. In that meeting, “basic attention was focused on the developments in North Africa with a focus on the situation in Libya,” the Russian defense ministry said in a brief statement, noting that both sides emphasized the importance of continued bilateral dialogue.